Former WTTW producer Pat Barey is co-author of a book coming out in August about a little-known aspect of Julia Child's life: Her love of cats. 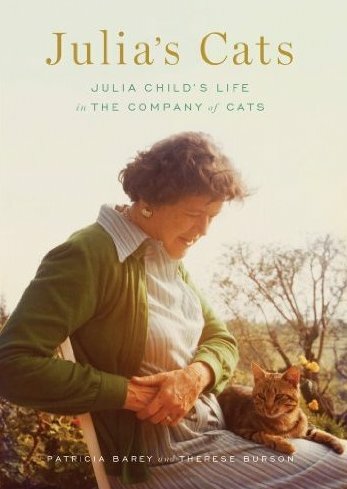 Julia's Cats: Julia Child's Life in the Company of Cats draws on letters and original interviews to reveal the famous pubcasting chef's love of felines, from the very first, Minette, that arrived at the Childs' doorstep soon after she and her husband Paul arrived in Paris. Co-author is Therese Burson, Barey's partner in the film production company Tellens.